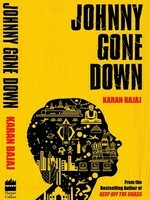 Abhishek Mande interviews Karan Bajaj, author of the newest bestselling work of Indian fiction, Johnny Gone Down. Author Karan Bajaj whose first novel, Keep off the Grass was a bestseller has returned to the market with his second. Titled Johnny Gone Down, it has hit the stores with a record print run. The hype notwithstanding, Bajaj comes across as a man who has experienced bliss. Sure, he is passionate about his writings, but he's as composed as a Buddhist monk. His latest protagonist, quite like his first one, is travelling in search of the self. 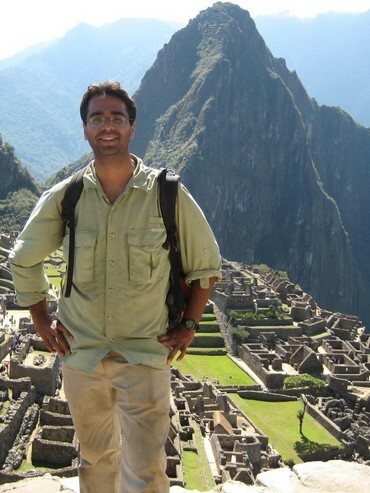 His journeys take him across continents as he lives a life that knows no limits. Here Bajaj tells us what inspires him and why he wouldn't create a hue and cry if a film based on his book did not carry his name prominently. Why are you so taken in by a person's journey -- both your novels (Keep off the Grass and Johnny Gone Down) seem to be inspired by the picaresque form? I must confess I have never heard the word 'picaresque' before. But there are a few reasons why I am inspired by a person's travels. Part of it has to do with my passion for travelling. I am equally fascinated by the genre of writing that tells stories of ordinary people under extraordinary circumstances. But above all, I am inspired by a person's quest for self-fulfillment that leads to astonishing outcomes. What kind of writing inspires you? like the Bangkok series by John Burdett, as well as slice-of-life novels like those of Upamanyu Chatterjee, Ruskin Bond and Mohsin Hamid. Johnny Gone Down is about a man who travels from Cambodia to Brazil, Thailand, South America, the US and back to India. It is a surreal journey where he becomes a genocide survivor, a Buddhist monk, a drug lord and a software millionaire. (I believe) the film stretches the boundaries of believability but retains its credibility. Has it been a challenge to maintain that balance? Yes, it always is. What attracts one to fiction is the ability to identify with a protagonist and a situation -- the fact that there is someone who thinks like them or faces the same demons as them. Yet, at the same time, you cannot make it so real because it is the leaps of fancy that make fiction so compelling. You have described the current genre of writing in India as the 'boyz n grlz jst hangin' out der in McDonaldz' genre of writing that is doing 'spectacularly well'. Why are you so acidic about it? I did not mean it as a discredit at all. It came across as sounding harsher. I respect whatever is doing well. If it is doing well, is it good enough? I don't mean it that way at all. I am neither excited nor dismissive. However, I feel that fiction should open new dimensions to readers. It should open windows of new worlds. I feel that genre doesn't do it (open windows) for most readers. And I don't want to write in that space. In the spirit of honesty, I feel my first novel (Keep off the Grass) didn't open new worlds. I realise it now and I have tried to improve on my shortcomings in the second novel. I am prouder of Johnny Gone Down. Let's see -- your first novel was a bestseller and your second has released with a record print run. Are you dispassionate about this aspect of writing? Success is a matter of interpretation. The number of copies is not so much a measure of success as the depth with which you touch people. I am at a stage where I would rather touch a smaller number of people at a deeper level than a larger group superficially. (Laughs) I hope I don't sound like a hypocrite, but all I can say is that in retrospect, I felt that in the first novel, there was a tremendous opportunity to improve. I hope I have done that with Johnny Gone Down. Having said that, if the first one was a disaster, I don't know if I would be as inspired. It is a tough thing to predict. Since we are in a retrospective mood, what according to you worked in Keep off the Grass? It was pacey, fresh and honest. There were a couple of thoughts that were new and interesting. That worked and the fact that the story was relatable. As for the second one, I am still reading the initial reviews and trying to see where it (has or) has not hit the mark. What do you make of literary reviews? If you go beyond the vitriolic, literary critics can be very helpful. Clearly these are people who have read much more than I have and it is beneficial if you can learn from someone who is educated in the art. What about book readings? Do you enjoy that bit about writing a book? Let me just say I like interacting with readers. The initial readings are just promotional events attended by people who haven't read your book at all. Three to four weeks later, when readers come by and ask tough questions about the plot or characters is when you begin to understand what works and what doesn't, and there is some depth to the conversation. You have sold the rights for Keep off the Grass to be made into a film. How involved are you in the moviemaking process? So you wouldn't make a hue and cry if your name doesn't appear in the credits or appears at the end? I won't, but that is a personal choice. I am less bothered about credits and feel that my job is done with the writing of the novel. Filmmaking is a different medium and I don't find it fair to meddle in the process. Tell us something about Johnny Gone Down that you haven't already said before? It is an incredible journey about a person's dramatic highs and lows. Despite everything, I must confess that I relate a lot to the character, his sense of displacement and loss as well as the friendship, love and generosity he receives everywhere he goes. The events in his life serve a mythical purpose, but his feelings and journey are very real. As a consumer, may I ask you why I should buy your book? In all fairness, I must say that it is a unique story that has some deeper philosophical and emotional thoughts. It isn't a treatise, but the plot itself has enough nuances for an emotional connect. Tell us something about your day job. I work with Kraft Foods as a brand manager and I like my job. It is a very fascinating mix between logic and creativity. Because on the one hand you get to do a lot of ad design, packaging and PR, while on the other, it has some analytical business components to it. It is rare to get into a line where you use your left brain as well as your right brain (hence I haven't quit). When do you get the time to write? I am not a compulsive writer who is forced by something within him, his publisher or the market. I am someone who is laidback and a 'sabbatical-driven' person. During this time, I travel and if I am inspired enough, I write. How did you write your latest book? When I took my last sabbatical, I had intended to travel and not write. During my journeys I stayed in youth hostels and interacted with a lot of people and was stuck by the fact (clichéd as it sounds) that the world is more similar than it is dissimilar. I was surprised at how, although I was travelling alone, I never felt lonely. A lot of my travel experiences have impacted Johnny Gone Down. They sparked off an idea of a story of an intercontinental journey and I wrote the book in about four months' time without any writer's block. Have you ever faced one? No. But it is no reflection on how great a writer I am. It simply has to do with the fact that I had clear inspiration for my stories, a clear germ of an idea in my head. It might also have to do with the fact that I am not a professional writer, which means I am not forced to write. I only write when a story is clear to me and when I am raring to go. You've mentioned that the dark arts and occult have interested you. Will they form the themes of your next book? I have been struggling with spiritual stuff and some thoughts along those lines have been occupying me. I also realise that I have led a very selfish life so far and am struck by the social inequalities. I've been reading about mysticism, charity and the occult and my next book might have these themes. It will not be a treatise, but a work of fiction that will hopefully communicate these bigger thoughts. Any tips for budding writers? I don't think I can give any advice, because everyone comes from different circumstances and backgrounds. But I can tell you that what worked for me was an open mind. Meeting diverse people and undergoing diverse experiences always help you grow and that's something you can never go wrong with. You ought to open yourself to different ideas. It is easy to fall into a pattern of normalcy and this aspect is almost always independent of material circumstances.